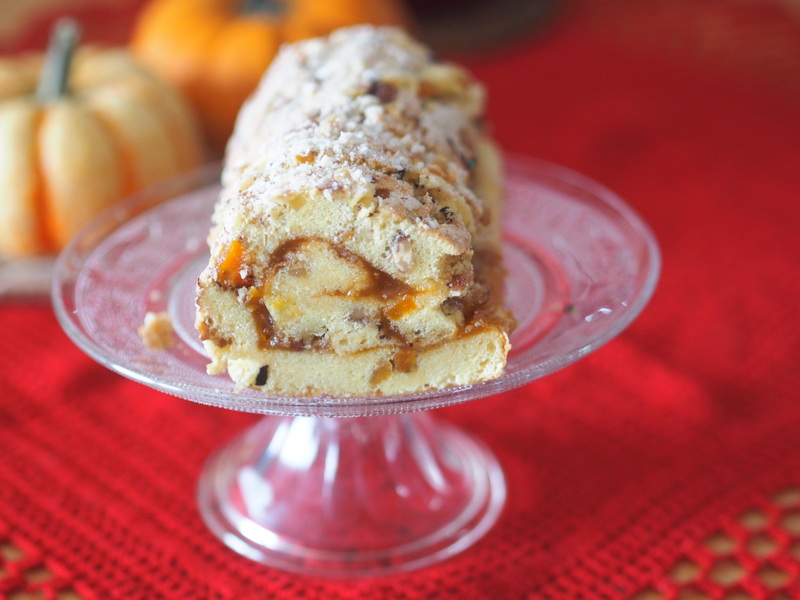 Crusted Swiss Roll In Autumn Outfit | When Judit bakes...bread and better.. The love of autumn is a feeling I share with many souls around around the world. Its colours, its abundance, its tired warmth, its gentle frost touch the human psyche on a way no other season could…. The large variety of autumn produce supported by the season’s senses of vision, taste and smell tends to be great inspiration for the artists of cookery. 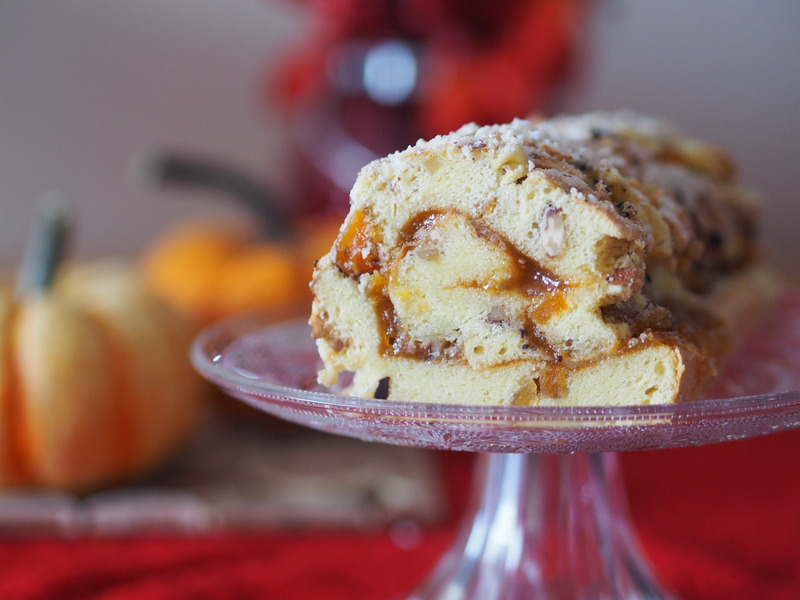 Certain bakes and bakes can achieve a completely new culinary level, when autumn goods are added within the usual ingredients. 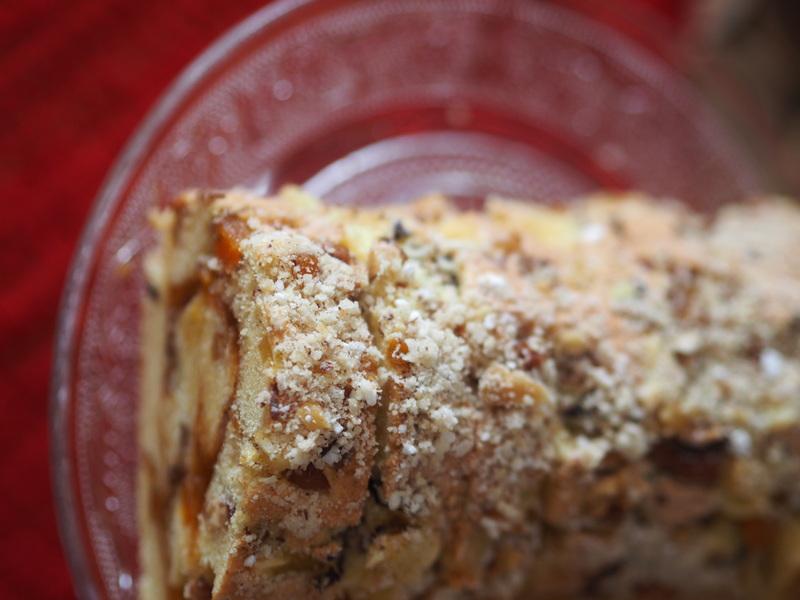 Simple recipes, such as sponges or Swiss Roll provide a exciting, fresh and delightful experiences, when nuts, fruit purees or different grains are added. 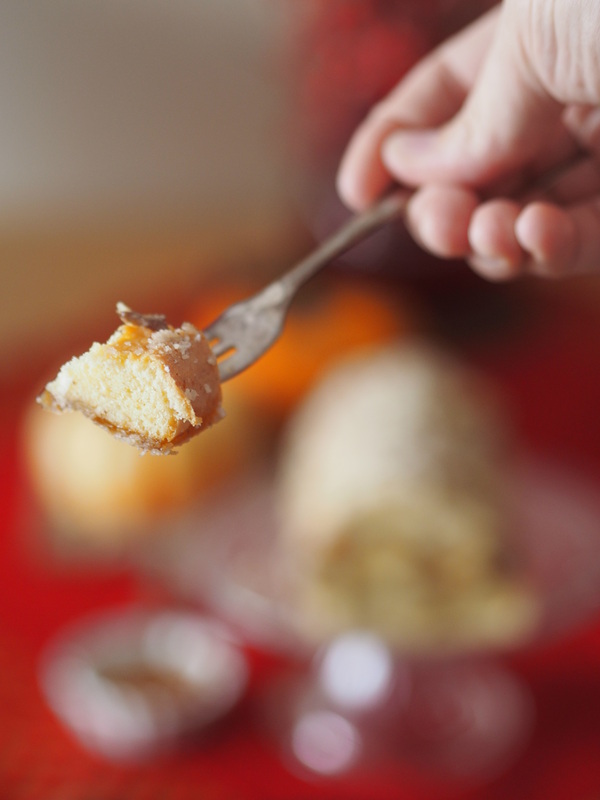 The Swiss Roll is a slightly technical, still no-fuss recipe, however I believe its simplicity lends itself to a wealth of possibilities when times come to creativity, characterizing, individuality and playfulness in one’s kitchen. 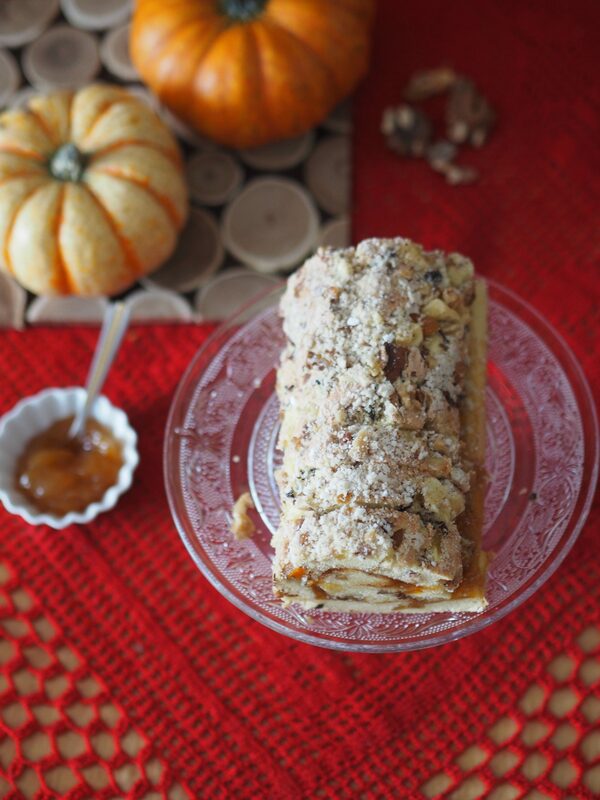 The idea of the crusted Swiss Roll came to my mind based on a leftover bowlful of nuts and dried fruit…. Preheat the oven to 180 degrees C. Lightly brush the base of a Swiss roll tin with vegetable oil. Cut a sheet of greaseproof paper to fit the base of the tin exactly. Brush the paper with a little more oil, then dust with caster sugar and flour. Put the sugar and eggs whites into a large bowl and whisk until soft peaks (the mixture leaves a trail when the whisk is lifted). Fold in the egg yolks carefully. Add vanilla extract and cinnamon. Sieve in half the flour into the mixture and fold in very carefully until no traces of flour are left. Repeat with the remaining flour. Fold in the oil gently. Pour the mixture into the prepared tin and use a spatula to smooth it evenly into the corners. Sprinkle the chopped fruit and nut mix on the top. Bake in the center of the oven for 10-12 minutes, until golden and risen and just firm to the touch. Lay out a damp clean cloth on the work surface. Lay a piece of greaseproof paper that is larger than the sponge on top. Dust the greaseproof paper with brown sugar and ground hazelnut. 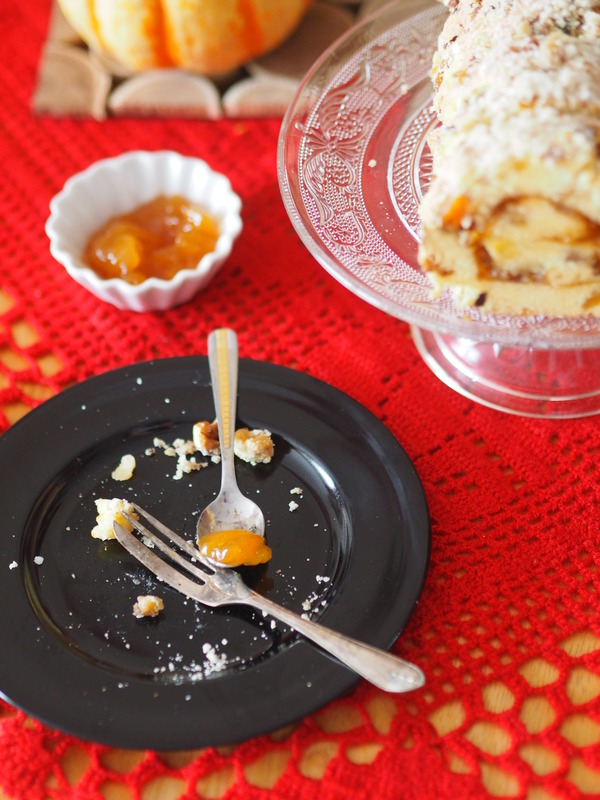 Run a knife around the edge of the warm sponge and turn out on to the sugar-dusted paper. Peel the paper off the base of the sponge. Trim off the edges of the sponge. Spoon the jam onto the sponge and spread out, leaving a little border of clean sponge all around. Make an incision about 1cm in from the short edge, being careful not to cut through the cake: this makes it easier to roll up. Start rolling, using the incision to complete the first turn. Roll the sponge tightly and sit it seam-side down until cold. This entry was posted in Baked treats, Baking powder, Filled Cakes, Just Everything, Seasonal Baking, Sweet Bakes, Treats for Life. Bookmark the permalink. It’s not the leaves I like about Autumn, but the cool change. Where I am, we are heading for summer soon. One of our poets began: ‘I love a sunburned country…’ Looking forward to Autumn already. Like your recipe and post.